Each spray cleanses and deodorizes sensitive skin without depleting essential moisture. Instantly soothes reddened, inflamed skin. 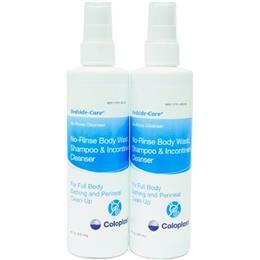 No-rinse all-body wash and incontinent cleanser.